In two weeks time (Wednesday 7th November at 6.30am) Gayle is running the first of what we hope will be a series of running workshops for Freedom Feet from Willis Street Physiotherapy. It’s an early start, although Gayle tells me that runners are up at that time anyway, and keen to fit in their training before the workday gets going. Here’s a Q and A on the workshop. Please feel free to email us further questions or leave them in the comments section or indeed post them up on our facebook page. Q Why is it important to have good running technique? 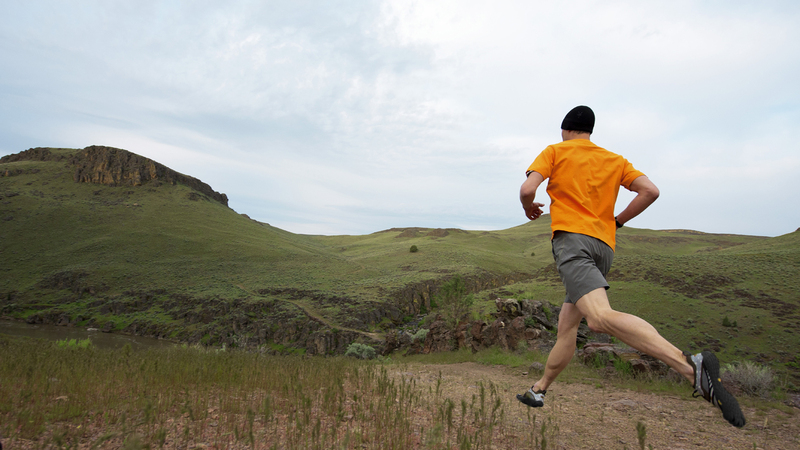 A Good running form is essential for ongoing enjoyment of running. You will reduce the risk of injuries, and reduce the number of injuries you have, while also becoming more economical – so that is isn’t such hard work to run, consequently you will learn to run faster and further with less effort, all of which makes running far more enjoyable and better for your body. Q Are minimalist shoes crucial to good running technique or is it possible to learn good running style in any footwear? A Barefoot is best. The more sensory and proprioceptive input you have, the easier it is to learn any motor function, and the same is true for running. The more you can feel the ground the better you will run. I recommend that some of your running you do entirely barefoot. Minimalist shoes do make it easier to learn, and less is better than more when it comes to sole thickness to maximise sensory input. However it is possible to improve your running form in any shoe, and some people run best in traditional running shoes, while others struggle to improve their running style in traditional shoes. Getting a professional to analyse your style with and without shoes will go a long way in helping you to improve. Q What should people expect from a running workshop? A The running workshops are designed to give each person an understanding of where they should strive toward when improving their running style – so to understand elements of good running form. I will be teaching some drills which are tailored for each individual based to improve the aspects of their running which need the most improvement. We will be doing a bit of running obviously but not more than 2km all spaced out with breathers in between. You will be given information that applies to you at your level of running. Q For those who want more individual support, what do you recommend. A Take the tools I have taught you and apply them and see how your running is transformed. If you find you have injuries which need to be addressed or need more intensive supervision, I provide one-on-one sessions at the clinic which include gait assessment along with miofascial assessment and treatment to improve your enjoyment on running. At an elite level we can refer you for video-analysis. Q How hard is it to change your running habits? A It’s actually easier than you think. Once you have felt a tastes of what fluid running feels like it’s kind of like drinking good coffee – you just can’t be satisfied without it. Muscle memory is an incredible thing and the pleasure felt in running well causes more rapid myelination of motor pathways and accelerates learning. If you’d like to book a place on the workshop please email info@willisstreetphysiotherapy.co.nz. The cost of the workshop is $25 and all participants will receive a $25 discount voucher for any shoes in the Freedom Feet range. Limited places to ensure a good level of individual support. Suitable for all running abilities and levels of fitness. Health at work; sitting, standing, lifting and handling.